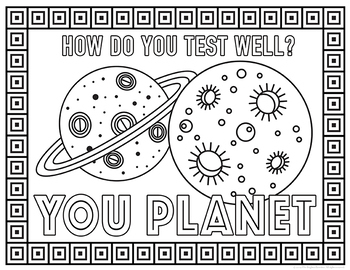 Need something colorful on the walls during testing that doesn't break any rules about displaying academic work? 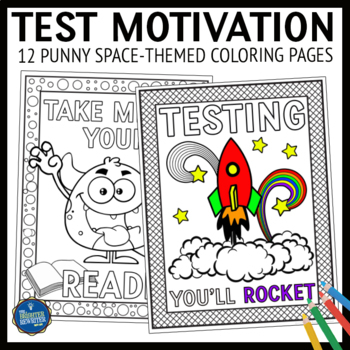 Big kids love coloring these 12 space-themed motivational pages to help ease classroom stress and build confidence before and during state testing. Display them at school to encourage your students while sneaking in some language arts mini-lessons on wordplay and puns. Great for early finishers and indoor recess! 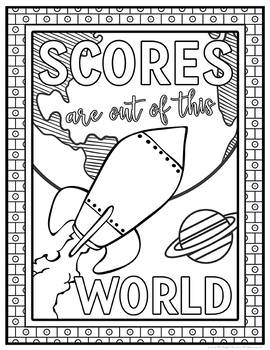 Also great for younger grades and study buddies to color as a gift for students who'll be testing! The thumbnails show several of the posters in this set. 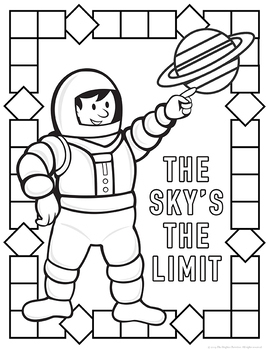 Click on the preview to see all of the coloring pages. Everything was designed in high resolution and designed to print using 8.5×11 paper. I'd appreciate your purchase, your rating, and your feedback.